Responsible in developing and managing the overall operation of the oil palms plantation and plan for future plantation development. To take control of all phase and aspects of estate operation, including land development, cost management, human resources, worker management, planting practices and procedures, system and method, and Fresh Fruit Bunches (FFB) production. Supervising oil palm tree planting, field maintenance and nursery management. Propose professional good agricultural practices and implementation whenever necessary. Ensure that the estate is managed to the standard in accordance with acceptable agricultural and practice and company's requirement. Examine and ensure the general aspect of the estate operational management including utilization or human capital and materials. Provide leadership skills to estate staff to achieve target and deliver good performance. Modernization of the estate work practices, including awareness of the requirements of MSPO & RSPO. Candidate must posses at least a Bachelor's Degree in any discipline from recognized Universities. Possess strong analytical skill, leadership quality and ability to lead team. Good people management, communication and report writing skills. Proficiency in both written and spoken English and Bahasa Malaysia. Willing to work and live in plantation environment. Only managers specializing in Agriculture / Plantations or equivalent will be considered. To work towards providing better service in the field of Mechanical Technician. Responsible for building maintenance such as: preventive, inspection and troubleshooting works. Responsible for building related Mechanical & Electrical works, basic electrical, plumbing and tiling works. Running chiller system and lighting for podium and office on daily routine schedule. To maintain and service all plants, facilities in the building. To assist and support the duties of Senior Maintenance Executive. To undertake any other assigned duties anytime from Management as and when required. Candidate must possess at least a Professional Certificate, Mechanical Technical Certificate or equivalent. Team player with good attitude. Knowledge of firefighting system will be an added advantage. Willing to work on shift roster, public holiday and overtime. Level 32, Menara Landmark, No. 12, Jalan Ngee Heng, 80000 Johor Bahru, Johor. Leading, planning, directing, coordinating and controlling all activities of the Batching Plant. Ensure safety and environmental regulation compliance and maintain a safe working environment. Responsible for the overall management of the batching facilities. Responsible for the inspection of spare parts, all tests schedules and proposal. Ensure of the batching plant run efficiently with proper planning process. Ensure ‘zero failure and discrepancy’ and high quality products. Plan and monitor raw materials for the concrete batching and its inventory. Perform the role of an operator for set up of necessary equipment. Received and arrange mixer truck delivery. Supervision and maintenance plant facilities & Quality Control (QC) of ready-mix products every day. Any other duties & responsibilities directed by the management. SPM Level , Diploma or any equivalent. Advantages for those possessing operational, maintenance knowledge & understand management principles and practices. Candidate with the relevant experience would be highly recommended. Depan Jalan Sasa, Taman Gaya, 81800 Ulu Tiram, Johor.Taman Gaya. Memandu dengan selamat dan memastikan kenderaan syarikat dalam keadaan yang baik. Menghantar pengarah atau tetamunya mengikut destinasi dan kehendak operasi. Memandu dengan selamat dan memastikan kenderaan sentiasa dijaga dengan baik dan bersih. Menjalankan tugasan yang diberikan dari masa ke semasa. Minima SPM dengan dua (2) tahun pengalaman dalam bidang yang berkaitan. Mempunyai rekod yang bersih dan mempunyai lesen memandu "D" yang sah. Berpengetahuan luas dalam persekitaran jalan Johor Bahru dan Singapura. Umur diantara 30 - 45 tahun dan sihat tubuh badan. Calon mesti bersedia untuk berulang-alik antara JB dan Singapura. To drive safely and maintain good condition of company vehicle. Personal Driver to Director and his guest. Ensure the car is always well maintained and clean. Attend to Director's request on all transportation needs. A valid driving license & passport with clean record. Good work ethics, reliability and punctual. Candidate must be willing to travel between JB and Singapore. Responsible & support the project department on work related to contract management for pre & post-contract stage. Any other jobs & responsibilities assigned by the management. Required language(s): English and Bahasa Malaysia. The candidate whom well verse in Mandarin wouldbe an added advantage. Preferably specialized in Engineering - quality surveyor, civil/construction/structural or equivalent. To supervise the estate workers. To supervise work done in the estate:- harvesting, loading and transportation of FFB (Fresh Fruit Bunch), weeding, road repairing, manuring, replanting and other duties and responsibilities directed by the Plantation Controller. To ensure the field is tidy and clean (Weed control and waste disposal). To ensure proper FFB harvesting technique and ripeness. To ensure proper Fertilizer application (Application rate, method and coverage). To ensure the workers carry out the related task in proper orders. To ensure the maintenance works carried out according to specification and schedule. At least Secondary School/SPM/”O” Level, Higher Secondary/STPM/”A” Level/Pre-U/Diploma in Agriculture or any field. At least 5 years working experiences in the related field. One (1) position full time available. Bertanggungjawab untuk memastikan kawasan persekitaran bangunan selamat. Melaksanakan tugas rondaan, memastikan keselamatan bangunan dan memantau sistem penggera CCTV dan kebakaran. Untuk mengawal dan mengaktifkan program lif di dalam bangunan. Untuk membantu tugas Ketua Pengawal Keselamatan. Menjalankan tugas dan tanggungjawab yang diberikan oleh pihak pengurusan. Minima Sijil Pelajaran Malaysia dengan 2 tahun pengalaman dalam bidang yang berkaitan. Bersedia untuk bertugas di dalam 3 giliran syif dan cuti umum. Boleh berdikari di bawah pengawasan yang minima. Responsible for providing a safe environment to people within a pre-defined area. To follow SOPs & Standing orders in carrying out duty. To perform regular patrol duty and ensure building safety by monitoring CCTV & fire alarm system. To control and program building elevators. To assist and support the duties of Security Officer. Candidate must possess at least a Primary/Secondary School/SPM/"O" Level, Professional Certificate,Hospitality/Tourism/Hotel Management or equivalent. Applicant must be willing to work in Menara Landmark, Johor Bahru. No work experience required/training provided. Willing to work on shift roster and overtime. Untuk memastikan kebersihan dan penyelenggaraan trak yang baik dalam keadaan baik pada setiap masa. Memandu 'Lori Siput' dan berpengetahuan luas dalam menggantikan serta memperbaiki 'Lori Siput'. Berpengetahuan secara komprehensif dalam operasi dan mengekalkan 'Lori Siput' dalam keadaan yang bersih. Minima Sijil Pelajaran Malaysia dengan dua (2) tahun pengalaman dalam bidang yang berkaitan. Mempunyai rekod yang bersih dan mempunyai Lesen memandu 'E' yang sah. Depan Jalan Sasa, Taman Gaya, 81800 Ulu Tiram, Johor. To ensure cleanliness and well maintain truck mixer in good condition at all times. Comprehensive knowledge of operating and maintaining a concrete mixer. 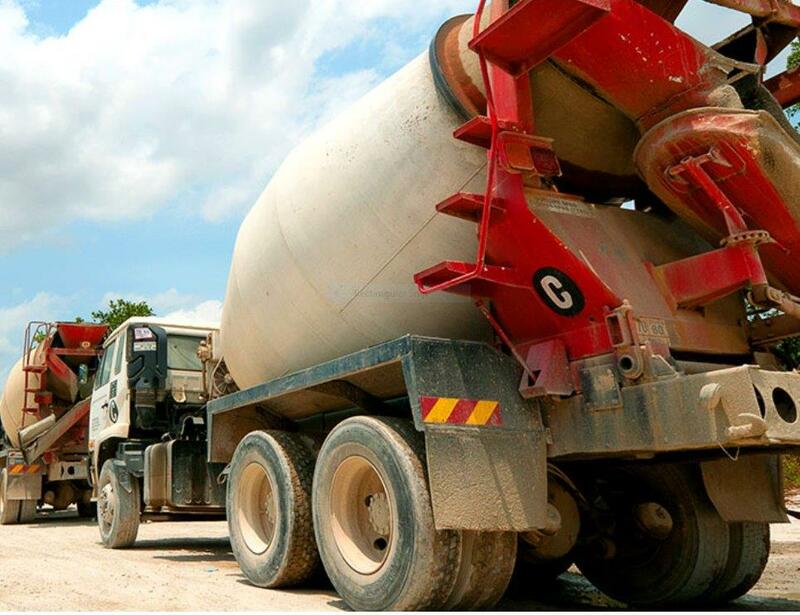 Extensive knowledge of replacing and repairing concrete truck mixer. Any other duties and responsibilities directed by the Management. Have "E" driving license and good driving. Develop and implement marketing and pricing strategy to increase the business revenue and to strengthen Company's market position in sports and recreation industry. Prospecting, identify new business opportunities and building relationship in sports and recreation business. Design and implementing sales promotion campaign to market the facilities and services. Attend to prospect customer, negotiate and to close deal. To establish good public relation with all customers and users. Assist the Manager in all functions or event management and coordination. Producing monthly or quarterly reports for management meetings. Fresh out of school? Looking for a dynamic and exciting environment to experience first-hand what a working environment is like? Come and show us what you have learned in school and develop your skill set with our various business sectors. Send your resume to hr@daiman.com.my now!